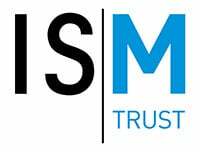 If you’ve been struggling to get to grips with GDPR, (General Data Protection Regulation) this free video from the ISM Trust offers an updated guide. Find out about the new law’s potential impact on musicians working in different areas across the profession. ISM legal advisor John Robinson takes you through the essentials, including explaining the importance of mapping your data. This video also looks at what to include in a privacy statement and how you should approach electronic marketing.